Katja Millay’s debut novel, The Sea of Tranquility, grips readers from the very first page and haunts them long after it’s over. It is epic, heartbreaking, absorbing, and beautiful. The first-person point-of-views, told from the alternating perspectives of the two main characters, Nastya and Josh, easily carry away the reader as the story unfolds, slowly unraveling and laying bare their downtrodden souls to the point of redemption and healing. It is a superb read that I highly recommend to all. Nastya’s past is a secret, one she holds close to her as she begins a new life, throwing away her old identity and reinventing herself. Uncaring of the rumors that spread themselves in her wake as she closes herself off, refusing to speak, Nastya is a novelty to her peers, especially to Josh Bennett, a young man just as closed off as Nastya herself. Together, these two form an unlikely bond, and as they navigate the choppy waters of life side-by-side, they uncover the hidden truths about one another in a most breathless, heartbreaking way. Millay seamlessly brings her novel and characters together as events unfold, giving readers small glimpses into Nastya’s past while showing the slow healing process that unites both Nastya and Josh as they come to grips with their own realities. Perhaps the most refreshing aspect of the novel is that the events leading up to Nastya’s silence and thirst for revenge, while extremely ruthless and painful, are not that of a typical boy hurting girl story, and yet it is just as treacherous and heart rendering, causing the aftermath and hatred to run deep enough to shatter a soul. 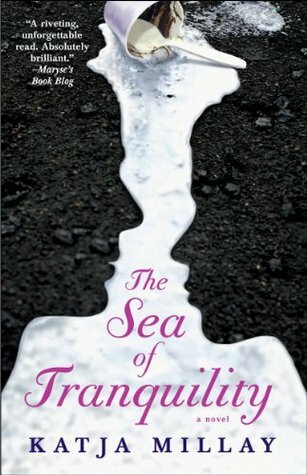 It is a beautiful tale that will tug at readers’ hearts, minds, and souls as they press onward in the journey that is The Sea of Tranquility. Five stars. Wow, what a great review, I too loved this book and how you described it gave me goose bumps. It is “treacherous and heart rendering”, she touched on a subject that doesn’t always get covered in books geared to this age and she handled it beautifully. Fantastic review full of emotion. I simply adore this book. I read it last year and was speechless. Tried to write the review but couldn’t do it. I just had trouble expressing my emotions in a way not to see like a demented fangirl. Thanks! This book is epic!